Has Christianity held up Western progress? 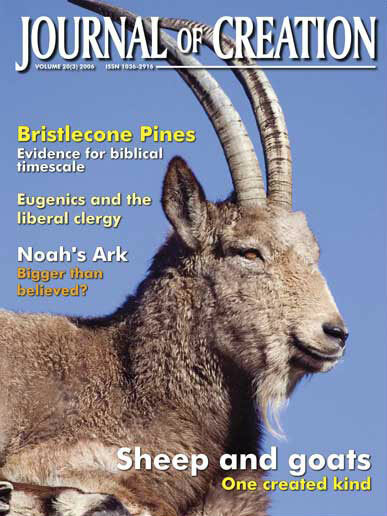 The traditional sociologists of religion and the old school of science historians both give the impression that religion has indeed stymied social and scientific progress.1 A growing number of sociologists and science historians are challenging this view, and one of the best known is Rodney Stark. Stark was a research sociologist at Berkeley, then professor of social sciences first at the University of Washington and now at Baylor. He is well known for his 27 books (with more on the way) published by the leading academic and mainstream presses. 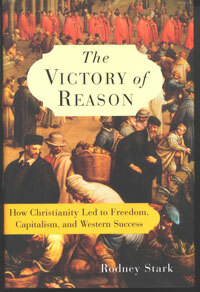 This latest offering, The Victory of Reason, presents Stark’s argument that Christianity, as a religion that values rationality, underlies the development of technology and business in the West. Stark starts by posing the question: why western success? Some authors have found the answers in ‘geography’, but, Stark replies, ‘that same geography long sustained European cultures that were well behind those of Asia’ (p. ix). Other authors have found the answer in the Europeans’ guns, steel, and ships; but, Stark notes, this is begging the question, why did the Europeans have this wonderful technology before the rest of the world? The most convincing answer, Stark says, is that capitalism fuelled the rise of Western technology—but this still does not answer the question, why did capitalism only develop in the West? The answer Stark gives to this question is found in the European faith in reason, a faith which contrary to popular intuition, was birthed out of Christianity. In these opening paragraphs, Stark has presented in reverse order the layout of the rest of the book. He has also made it clear that The Victory of Reason advocates two potentially controversial views: Christianity as an agent of social progress, and capitalism as the optimal economic system. Our primary concern in this review is with his treatment of Christianity, but we will briefly summarize his account of free-market economics as they sprang from a Christian background. Stark briefly examines three great non-Christian civilizations (ancient and medieval China, ancient Greece, and medieval Islam), arguing that their level of science and technology were crippled by the philosophies in the culture. Remarkable discoveries were made in medieval China (gunpowder being the best known example), but these were more or less random, and science as a discipline never developed (pp. 16–17). Ancient Greece was on the verge of doing real science, but never quite made it to the scientific middle ground between ‘nonempirical, even antiempirical, speculative philosophies [and] atheoretical collections of facts’ (p. 18). And Islamic science was crippled on the one hand by Koranic scruples among conservatives and on the other by slavish devotion to the Greek classics among liberals (pp. 20–23). In contrast to these societies, Christianity developed true science—a rational development; and Stark contends that it is because Christianity is a rational religion. ‘Aquinas and his many gifted peers could not have excelled at rational theology had they conceived of Jehovah as an inexplicable essence. They could justify their efforts only because they assumed that God was the absolute epitome of reason’ (pp. 10–11). Not only was Christianity the religiously rational influence on culture which led to science, but it led directly to great social progress, often overlooked, such as the end of chattel slavery. The key development in this case was the church extending the sacraments to slaves (pp. 28–31). Christianity also led to the rise of individualism, in the sense of individual responsibility and enterprise (pp. 24–26). ‘ … the Dark Ages is a hoax originated by antireligious, and bitterly anti-Catholic, eighteenth-century intellectuals who were determined to assert the cultural superiority of their own time’ (p. 35). Specialists have now by and large discarded the Dark Ages myth but unfortunately the revelation has stayed within their academic cloisters. Stark is eager to spread the word, and launches into an extended survey of the technological advances occurring after the fall of Rome, culminating in an ‘industrial revolution’ in the 13th century. His information here is summarized from his earlier book, For the Glory of God,2 which has been previously reviewed in this publication.3 A multitude of innovations, ranging from the water wheel, to the precursor of railroad tracks, to a fundamentally improved horse harness, to the three-field system of farming, all found their origin in the so-called Dark Ages. Developments were not just technological—there was art and music, and, to Stark the most important of all, the birth of capitalism. ‘Capitalism is an economic system wherein privately owned, relatively well organized, and stable firms pursue complex commercial activities within a relatively free (unregulated) market, taking a systematic, long term approach to investing and reinvesting wealth (directly or indirectly) in productive activities, involving a hired workforce, and guided by anticipated and actual returns’ (p. 56). Not only was Christianity the religiously rational influence on culture which led to science, but it led directly to great social progress, often overlooked, such as the end of chattel slavery. 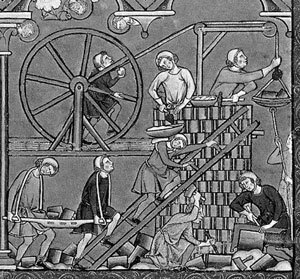 Stark spends the next several chapters chronicling the ups and downs of capitalism as it arose, of all places, from within European monasteries. Stark explains how the early monasteries gradually expanded beyond ‘subsistence agriculture’ (p. 58) to specialization in crops, which they sold for a profit. Some of the funds went to pay for the other needs of the monastery, and the rest was reinvested; as business became bigger and the monasteries ever wealthier, they gradually became used as banks from which royalty borrowed (pp. 58–61). All of this development had been impossible under Roman rule precisely because only Christianity established a work ethic. Stark is intent to expose as fallacious a ‘Protestant’ work ethic; rather, he insists it was a Christian work ethic, which did not have to wait for the Reformation in order to arise (p. 62). Stark also shows the gradual development of church doctrine on interest: far from holding back progress (as occurred in Islamic societies), the early medieval theologians created a theology of legitimate interest (pp. 63–67). As Stark points out, a relatively free market is a precondition for capitalism. Christianity set the social tone for Europe, first, by recognizing a theological doctrine of equality: moral equality and equality of opportunity, not equality of outcomes (pp. 75–78). Second, theologians recognized and emphasized property rights as God-given. And third, the prior two doctrines came together to limit the power of the state. From this limited state power came the environment for the free market and capitalism to thrive. Stark goes on to give case studies of the spread of sophisticated capitalism, starting in Italy with the businessmen of Venice, Genoa, Florence, and Milan, then spreading north, to the free towns which became seedbeds of countless budding merchants (pp. 84–99). The sophisticated practices of the Italian banking companies receives a chapter, demonstrating just how false is the prejudices against the ‘backward’ medieval times (chapter 4). The wool industry is Stark’s next case study (chapter 5), as it admirably shows the increasing industrialization of Europe, first in Flanders, then overwhelmingly in England. The themes of freedom (in order to keep the market working) and innovation (the Weberian ‘Protestant’ ethic before Protestantism) are persistent. Stark anticipates the greatest criticism of his thesis will arise based on the cases of Spain, France, and South America. If Christianity as a whole were capitalist-oriented, and this orientation were not merely a Protestant phenomenon, then each of these countries pose an apparent problem: why did the economies in these Catholic nations never quite catch on to capitalism? Stark responds country by country. Spain had a ‘control economy’ under a dominant government which was never quite in submission even to the church. Further, the influx of gold from the New World stunted the business urge, because it was easier to pay for imports than develop industry. France similarly suffered under the heavy hand of a ‘control economy,’ which worsened as the country approached the Revolution. And South America, Stark points out, was never really a Christian culture at all. Mentioning his thesis of religious competition which he has advocated in other publications, Stark points out that the Catholic church did not do well countering the indigenous religions, which for centuries persisted side-by-side or in curious syncretisms. Stark does a good job explaining the apparent incongruities and defending his main thesis. ‘ … not only does the Bible not condemn astrology but the story of the Wise Men following the star might seem to suggest that it is valid. However, in the fifth century Saint Augustine reasoned that astrology is false because to believe that one’s fate is predestined in the stars stands in opposition to God’s gift of free will’ (p. 6; emphasis in original). Stark has rightly noted that Christianity is a rational religion; he has missed the important point that Christianity is rational because God’s revelation is rational. Fortunately, Stark’s under-appreciation of biblical authority does not affect his argument in the rest of the book; nevertheless, it is a significant theological problem, detracting from an otherwise brilliant and rewarding book. Stark is not a theologian (for one who writes so voluminously on religion, he has kept his faith very private), but he does a generally fine job as an apologist for Christianity from a sociological standpoint. This book is well argued and an enjoyable read. Stark is trying to cover a lot, defending both Christianity and free market capitalism (and the interrelationship between them) over a millennium. The book is probably too brief to conclusively ‘prove’ certain points to a sceptic, but that is what the extensive references are for. Stark accomplishes his main task of summarizing a wealth of information in a panoramic view, causing any reader to reconsider—in a positive light—the impact of Christianity on the world. See Smith, C., Introduction, in Smith, C., Ed., The Secular Revolution, University of California Press, Berkeley, pp. 7–25, 2003. Return to text. Princeton University Press, Princeton, NJ, 2003. Return to text. Williams, A., The biblical origins of science: a review of For the Glory of God by Rodney Stark, Journal of Creation 18(2):49–52, 2004. Return to text. See Sarfati, J., Loving God with all your mind: logic and creation, Journal of Creation 12(2):142–151, 1998. Return to text. For further discussion of reason in biblical interpretation, see Sarfati, J., Refuting Compromise, chapter 1, Green Forest, AR, 2004. Return to text. Fruchtenbaum, A.G., How Did the Wise Men Know? or Is Astrology Valid? 2005, 12 July 2006. Return to text.